What is a ‘Leader’? It’s a word that creates images of awe inspiring people from lives past to current people labelled with such title; but lack any of the qualities we deem valuable or socially responsible. We most certainly do not need to aspire to carry such a title, yet we all bare responsibility to our own leadership in our everyday lives, be it to our children, local community groups and professionally in our career and industry sectors. 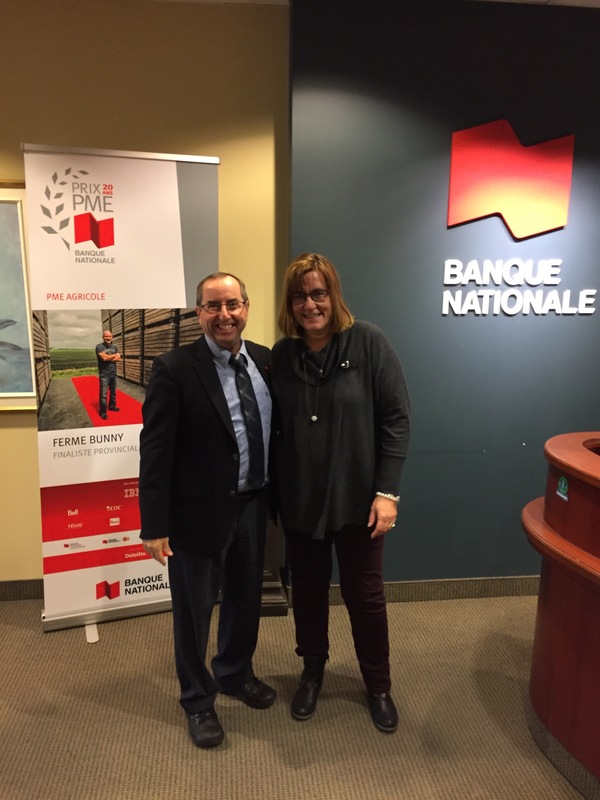 The subject of ‘Leadership’ struck me last weekend at a retirement celebration for my longest serving and highly motivating manager at National Bank; Denis Boudreau retired after 29 years. A man who stood just over five feet, four inches tall with English as a language he learned after turning 40 years old; demanded the full attention of any room with his boisterous personality and desire to be front and centre at every event and meeting. I most certainly don’t exhibit the extroverted characteristic, but rather I truly valued his positive, ‘can do’ attitude. Denis has a passion to excel and motivate others by encouraging his people and working as a constant advocate for their goals and that of creating his own corporate culture. Denis had the courage to always speak up! If it wasn’t for his commitment to bringing National Bank Agriculture to Ontatio, I would not be where I am today. It’s the power of persuasion, persistence, motivation and commitment are the values I take from the years of working with Denis. The adage ‘you work for people, not the company’ is alive and well in many workplaces. Certainly in my current role, I encourage sharing our corporate culture and values with my team, but I also know people are directly motivated by their managers and peers, as such this perpetuates responsibility and adds pressure to being the best person everyday, not just a manag﻿er, but a leader. At the same time, my team shines with individual leaders who step up each and everyday to not only do their job, but go beyond to coach, advise and influence clients and peers. But leadership is not only in corporate environments, for me it starts at home, most people call it parenting. This is the most influential role I will ever play in life. I’m fortunate this is a shared role with my wife Kathryn, but the daily actions, large or small never go unnoticed. It is the most rewarding, yet challenging role in life. All influencers carry varying responsibility, however when I reflect on the leaders that influence my family’s life; it’s our extended family, selfless skating coaches, teachers and childcare providers to name a few who unknowingly build character in their young followers. In the current political light; influencers Trudeau, Wynne & Trump may not reflect our personal values, however we allow labels to be applied including that of ‘leader’. However with any title, the power we grant is only as strong as the accountability we expect. But with every great leader, it is about knowing their strengths yet acknowledging other factors require greater support. Too often leaders are expected to be masters of every subject matter. As followers we generate feelings of reluctance when their weaknesses appear; yet like any team, we should hold hope in their ability to assemble people with complementing skills to support the broader needs of their peers. Finally, as I reflect on the notion of leadership and how it has affected my life, I encourage you to reflect on those that impact your life and more importantly the lives you may be impacting, knowingly or not as a leader. Everyday it bares great responsibility yet takes courage to lead, labeled or not! As much as we all journey on individual roads, I have most enjoyed the personal opportunity to share with you some of the people, places and stories I’ve encountered along the way of my Nuffield Scholarship learning about food and our farming systems. However, I have been left with many unanswered questions about how and why food is consumed and the relationships, or lack thereof we have with it. I’m not suggesting you all become ‘foodies’ and radicalize your viewpoints to extremist demands like veganism, but rather consider where your food comes from, who was involved from farm to fork at the same time as reflect on the needs of nourishment, quality and food wastage. I look to complete my studies and bring back my conclusions on that support a dynamic poultry sector in Canada, but what I know now, is that people continue to lose focus and interest on food, it’s safety and the diverse range of food production that comes right here from Canada for our every changing and culturally diverse country. So to 2017, I look forward to talking food and what it means to you!